I said it in my review of Captain America: Civil War earlier this year: How long can Marvel keep this up? How long will it conjure stellar scripts, vivid visuals and diverse character dissertations? Will its streak ever end? It was bound to happen eventually. The greats of every pursuit have a bad performance from time to time in their quest for endless perfection. Unilateral consistency to that level is hard to duplicate but the greats always find a way. They continue to leave us in disbelief because there’s a natural tendency to discredit them and expect the opposite. “Surely it can’t be done again,” we say, yet how gratifying it is to be proven wrong, is it not? Disbelief is sometimes more than belief. Sometimes, we welcome what we can’t process and revel in the emotion of what we deem otherworldly. Eventually, the cycle comes back around and the greats remind us they’re human, which at first breaks the illusion but also redeems them, making their achievements all the more impressive. Doctor Strange is the cycle coming back around and reminding us Marvel is manned by humans just like ourselves. They are not beings from a galaxy far, far away, or an interstellar species. They are just like you and I, and like humans do, they screw up sometimes. Director Scott Derrickson’s Marvel debut is a screw-up. It has potential like a budding juvenile but thus far has neither the focus or awareness to put those pieces together. It is ambitious but not properly equipped to get the job done. Doctor Strange could and should have been serious. It has all the reason to be. We’re dealing with sorcery and the end of the world. Marvel has already humored the hell out of end-of-the-world scenarios. Doctor Strange was their chance to make something of a drama. Captain America: Civil War was a drama and perhaps not coincidentally, the best thing Marvel has ever made. It has yet to make a good, serious drama with one compelling character, with the exception of Captain America: The Winter Soldier. Doctor Strange seemed more than ripe for that honor. Benedict Cumberbatch is certainly capable and Marvel threw Chiwetel Ejiofor, Mads Mikkelsen and Tilda Swinton into this. These are actors that can do things and yet Marvel let the opportunity slip by. A cast this talented with material this competent should be fine but Doctor Strange ends up reminding me of The Incredible Hulk, a film without much pull, character strokes or panache to show for its efforts. Doctor Strange is a film that, surprisingly, doesn’t have a lot to say. It should be talking about otherworldly elements that our minds can’t process, that perhaps there are things outside our world that we don’t understand or grasp. It should be portraying Doctor Strange as a character of his own making, not a rehashing of Tony Stark. It should be discussing the errors of humanity and at least attempt to make the argument that the world isn’t worth saving. Any of these things would have been appropriate. One of these things would have been nice. We don’t get any of them, but yes, we get the obligatory “these are the rules and this is how everything works” scenes, which are then followed by things that have yet to be explained and won’t be during this run time. 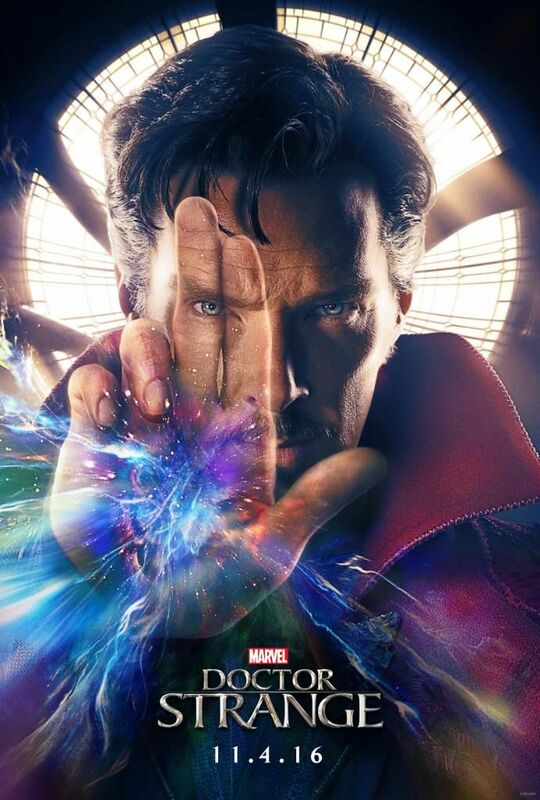 Doctor Strange, from the opening credits onward, is shown to be a man gifted with extraordinary abilities and vision but the same cockiness and arrogance that always brings those people down to street level at one point or another. This is far too like Stark. Whether these are supposed to be similar characters, I don’t know. I never read the comics, but from a storytelling perspective, it’s a poor choice. You have two heroes that are practically twins and without stark (play on words) differences in their motivations, side characters or backgrounds, it’s going to be hard for an audience to enjoy it as its own experience. This film doesn’t bother to demonstrate those variations. This lack of attention to detail and rather depthless writing leads to a mundane episode, one that, despite numerous Cumberbatch attempts, struggles for character originality. This notable elephant in the room is covered with humor that is largely off-base, leaving an emptiness of narrative flow in the theater. A brief round of applause will be granted for a film that awes in the visual department but does not accentuate this talent enough to overcome the inherent flaws in the movie’s remaining parts. My score for Doctor Strange: 64. 2016 was a disappointing year and with Doctor Strange, Marvel couldn’t help but add to the pile. Thank God for Civil War. 2016 was awful. It’s been a year of loss, as many talented individuals have departed this world and much uninspired, lackluster art has, unfortunately, graced theaters. Disappointment begets depression and disorientation, which is why I have taken a leave of absence this last months. 2016 didn’t promise much and hasn’t given much reason to hope for a bounceback 2017. But in the mud, rubble, ash and muck, some have come through in 2016, as some always do in times of turmoil. Even Marvel couldn’t keep its streak going (Strange review coming tomorrow), but they more than made up for it with Civil War, a comic book film that shed its skin and delivered a drama that compelled audiences while staying true to itself with some true comedy gold sprinkled over top. Collateral Beauty was also quite a treat but I’ll have to review that another time. No, we’re gonna start this year with a vigilante, the real OG, Robin Hood himself. Who doesn’t admire Robin Hood? Crossing the line of justice for the right reasons. Add me to the list of people who would love to be in his entourage. A view into the growth and founding of Robin Hood should be quite aspiring, no? You would be wrong, apparently. No, you would be right. It should be. Ridley Scott just really dropped the ball on this one. Bludgeoned it with a tire iron and threw it in an ashtray. This is a doozy of a film and so uncharacteristic of Sir Ridley. Scott is capable of far greater storytelling. We’ve seen it many a time. 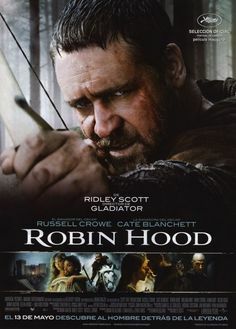 At no point does Robin Hood ever feel like a solid drama or competent novella. It’s so blase, surprisingly generic to the point of surrealism. Surely this isn’t Scott. Surely this is a different Ridley. It carries no charm, delivers no wit, showers no brilliance and grasps a long-winded plot with open arms. It’s not consequential. It’s barren and irrelevant because we know the story. It’s the precursors to that story that should draw us in but we’re flown right over that like a jetliner flying over its destination. Imagine that disappointment. Robin Hood’s not too far removed from that. What should be a fun character portrayal is surprisingly dormant. Instead, we’re given a Robin Hood that’s not confident in himself and worse, is still trying to discover his own identity. This is a polar opposite to the Robin Hood that we as kids are taught to idolize: a sometimes rash but always good-meaning rebel. Russell Crowe might be walking around with a script that reads Robin Longstride but he’s walking away from the character. There are some portions of the original personality that remain but it’s hard for me to appreciate the Mona Lisa when someone cut her eyes out. Puts a little bit of a damper on things. The spectacles we’re used to seeing from Scott simply aren’t here. Crowe and Blanchett are left in the sun, the side characters in the Robin Hood story are left undeveloped and our villain is an unknown. There’s not visual extremes to be demonstrated here. It’s a blemished work that’s excessively average and I’m left extremely disappointed. My score for Robin Hood: 51. This isn’t a good review and that’s okay. Just getting started.